Watch is book to help people wake up from their spiritual sleep. It will help people to see how and why our world is fast asleep spiritually through different topics that apply to modern life. Some of the chapters titles are: Sensory Data, Sleepless Cities, Psychedelic, Homeland, Speak Now, etc. There are examples given from the author's experiences, other people's experiences, information from books, news stories, etc. It will help people understand better how to get past the awkwardness of living a spiritual life that are different than the norm. It highlights a lot of areas that are relevant to any era. I liked the Scripture examples of being spiritually and physically asleep in this book; I believe I connected to the topic of being spiritually asleep well. I was hoping for some more ancient examples of how to come out of sleepfulness, and how they can be applied to today's times though and found myself getting lost in the various modern examples given. I found myself interested in the "Why I Hate Community" points section in Chapter 4, since spiritual community has been a hard thing for me to get connected to pretty much my whole life. I liked that even though the author had some important reasons why he doesn't like community, that it seemed to help him spiritually to get over the uncomfortableness and experience community in spite of them. That is an encouragement to me to help me get over the uncomfortableness I often feel regarding congregation / spiritual community. In my opinion, this book does a great job of showing how a lot of the world is fast asleep, but I really didn't connect with anything about how to become and stay awake spiritually. I loved learning that demonic (impure spirits) look for places to rest (based on Matthew 12:43-45), and it helped me think about how I should be on the watch for ways demonic spirits may try to come into my life, and to bring that to God when it happens so he can drive them away. 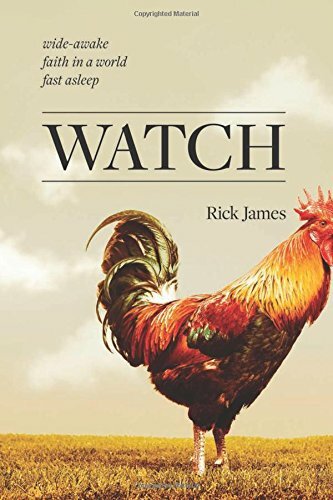 I felt like this book has a humorous tone, which will help people that like humor to find some truth in humorous ways, although I think the book did have a serious tone at times as well. I received this book free for the purpose of writing an honest and unbiased review.